Our number one heavyweight Matt Skelton will fight for the WBA Championship on 19 January against the undefeated giant conqueror Ruslan Chagaev in Germany. 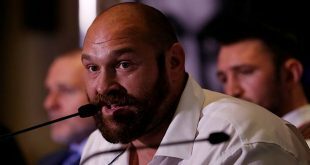 Skelton is most certainly the underdog and some expect him to be made to look silly when he steps into the ring against the current world champion, the "White Tyson". 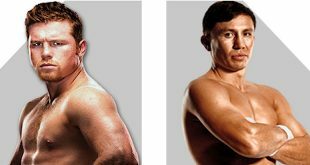 In my opinion, Chagaev is one of the best of a bad bunch and Skelton, who is renowned for making the best out of his limited skills, could well pull off an upset. Everybody who is anyone knows about the upcoming firefight on 8 March between WBC/WBA Champion David Haye and WBO Champion Enzo Maccarinelli. Haye goes into the fight as a very slight favorite, but this one truly could go either way with both fighters possessing devastating power and questionable chins. With nothing going on in the Clinton Woods corner, at light heavyweight, it's all down to the rumoured Joe Calzaghe vs. Bernard Hopkins bout coming off. Calzaghe will probably start as the favorite with age being the main factor. At age 42, "The Executioner", despite coming in at second in my fighter of the year list behind Floyd Mayweather with magnificent wins over Antonio Tarver and Winky Wright, must be reaching retirement age, Calzaghe could be the one to finally make him realize that. Amir Khan will dominate the lightweight scene here, along with Jonathan Thaxton, if these two get it on. Thaxton has talked the talk, as has Khan, and a fight such as this would prove Khans pedigree. Myself? I think Amir can win if he sticks to his game plan. Thaxton, although battle-scarred, has not been ruined like Graham Earl was. He will be dirty and gritty from the first bell. Despite this, I think Amir will have too much class and youth and beat a Thaxton who is just a few too many years old by a wide UD. Look out for John Murray along the way, despite his horrible last performance. Who can forget Manchester and Britain's favorite fallen hero Ricky Hatton? This man is the absolute gentleman, even after 57 pints over four days at the New Year! Hatton should look to become a living legend at light welter by unifying the division. Fights against Junior Witter, Ricardo Torres or "The Magic Man", Paulie Malignaggi will excite the country, but who knows how much Hatton has left? He will start as a favorite against any of these opponents, but age is catching up with the Hitman with his brawling, stamina consuming style. 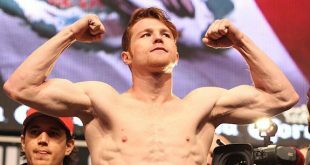 A loss could be in store for Hatton against Malignaggi if they fight. Paulie is a magnificent boxer who is the most underrated fighter in the sport today. He is now training with Buddy Mcguirt, who is known for helping fighters sit down a bit more on their punches, perhaps giving Paulie the power he needs. 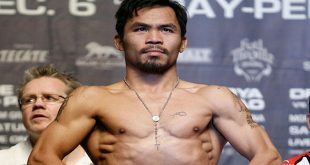 He is a slick boxer with a brain, who if he had 15 rounds with a weight drained Miguel Cotto, could well have won that contest. Next British Boxing Promoter Steve Wood Starts Off 2008 With A Bang!